Running & Playing… 2 Of The Greatest Things! 16. 7:20; 17. 6:51; 18. 7:20… I ran 10 1/2 miles in 1:18.44. We ran 5 miles before we got to Hazel Dr. to begin the short hill repeats… I wanted to do 10 but I could only do 8. My legs were jello and I felt nauseous. Oh I felt out of shape. We ran 2 1/2 miles after the hills. I am a little disappointed that I didn’t finish the last 2 but I still got a good workout in. 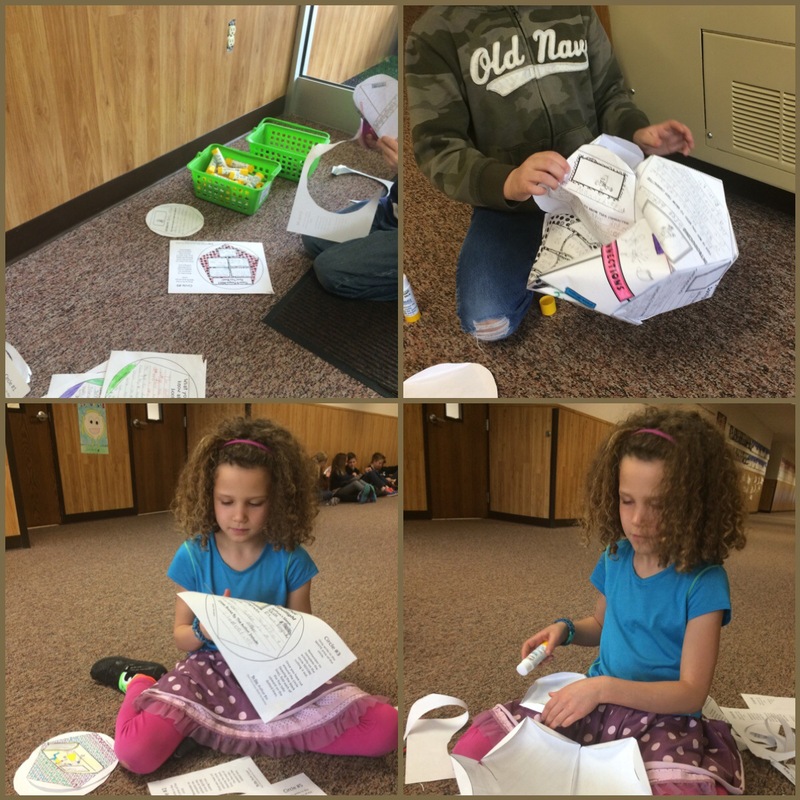 I was able to go help in my oldest’s classroom today. I love being able to help in the girl’s classroom! For track… Some of the runners were tired! 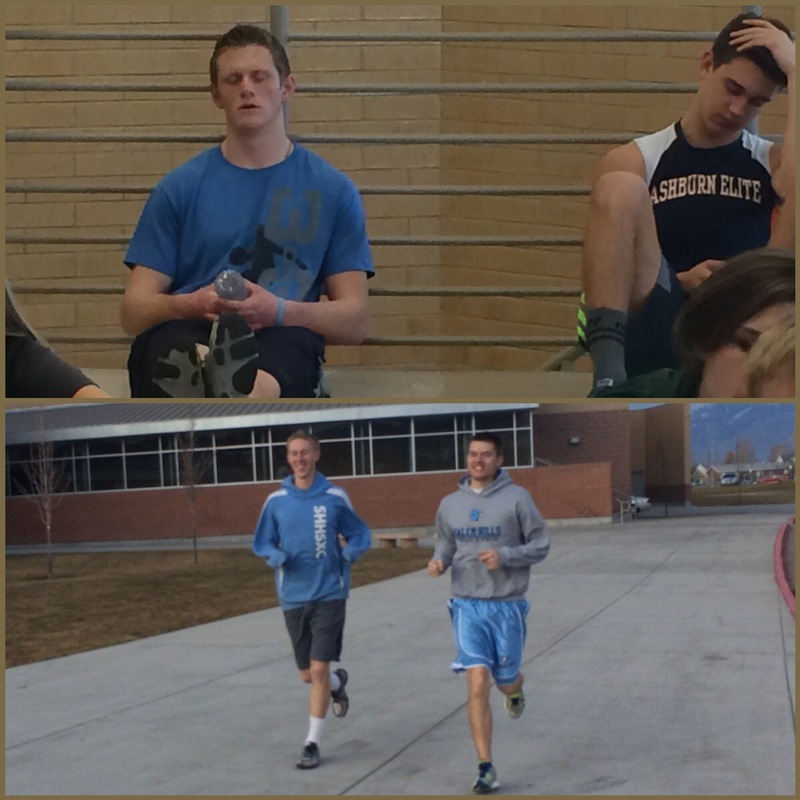 But the distance runners did go on a recovery run of 50-60 minutes. They just went on an adventure run. I was able to take my oldest out on our “date”. 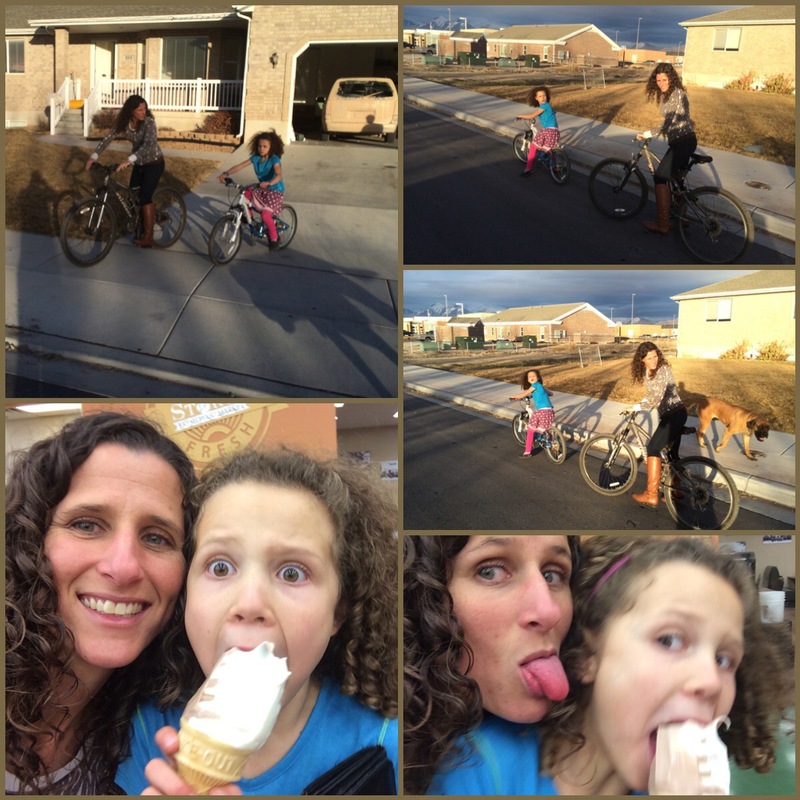 We rode our bikes to the grocery store to go buy an ice cream. But miraculously they all fell asleep by 7:15. 🙂 Corom came home and I went to Steph’s house to meet up with 5 friends to watch the Bachelor. Late night, good snacks and worth it! Wednesday: I met up with Mac, Aubrey and Amber for the first 7 miles and then ran an additional 3 1/2 on my own. I ran 10 1/2 in 1:21.34. I was sore from yesterday’s hills so this was a nice recovery run. 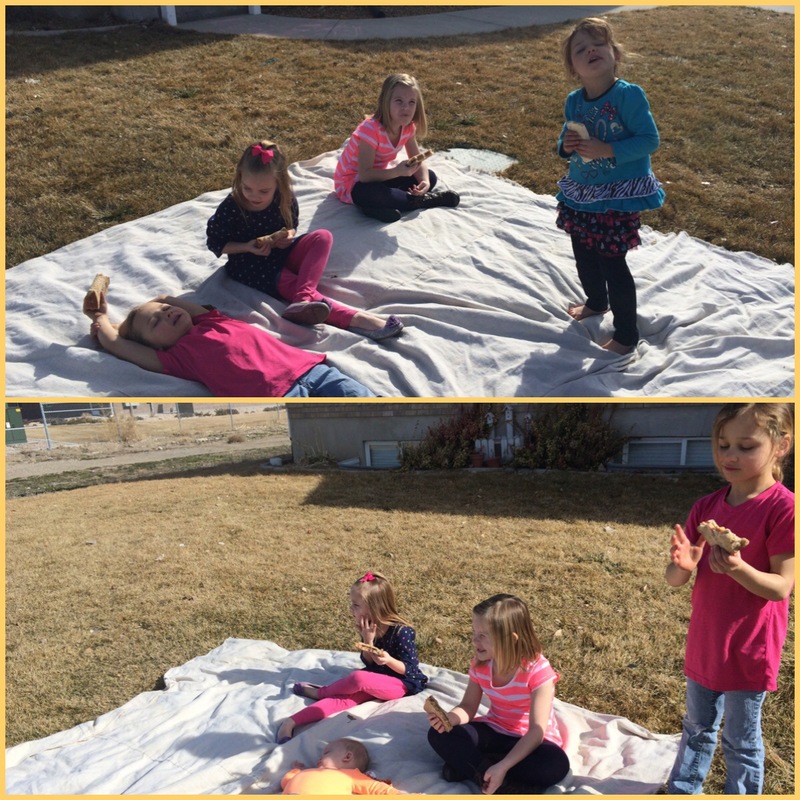 I babysat today for my friend… It was so nice out that we had a picnic out in the front yard. I love this February weather!!! 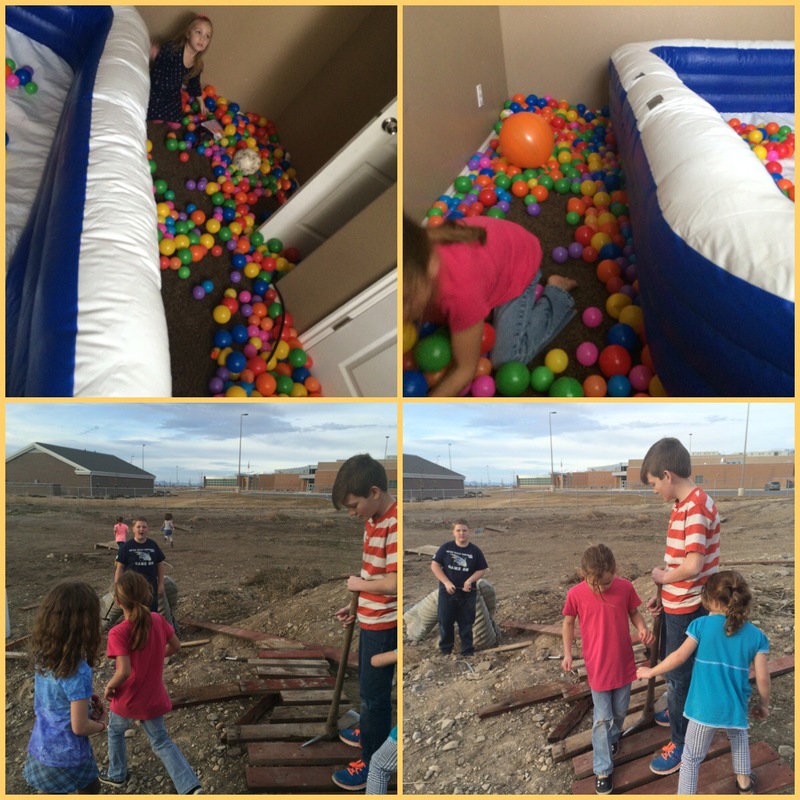 The balls were a nightmare today! They were all on the outside and not in the pool. 🙂 Corom does work late tonight but he did come home briefly to pick up Kitty. 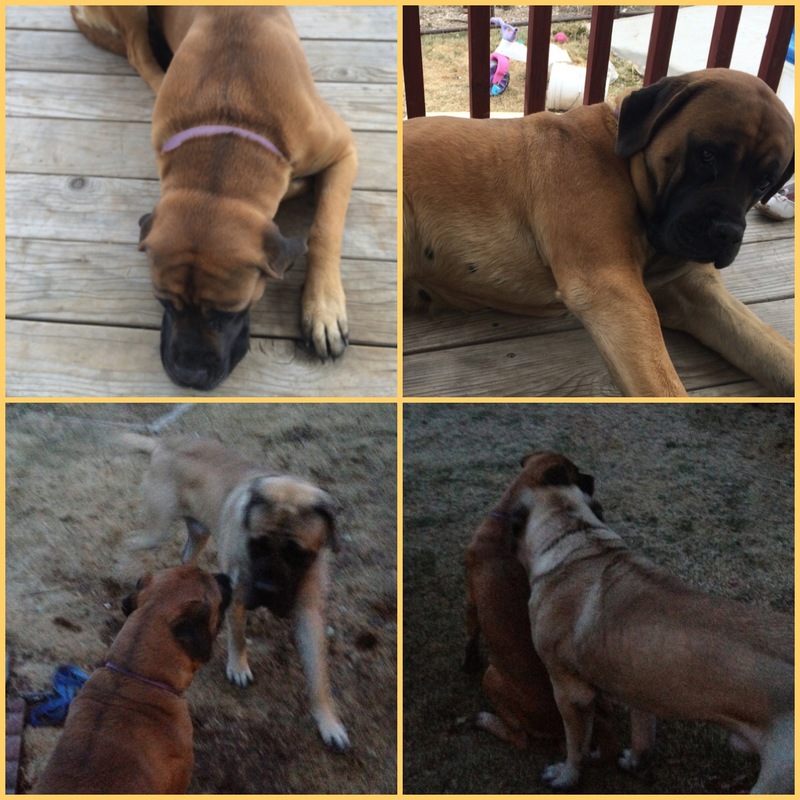 We decided we wanted to mate her with another monster English Mastiff. 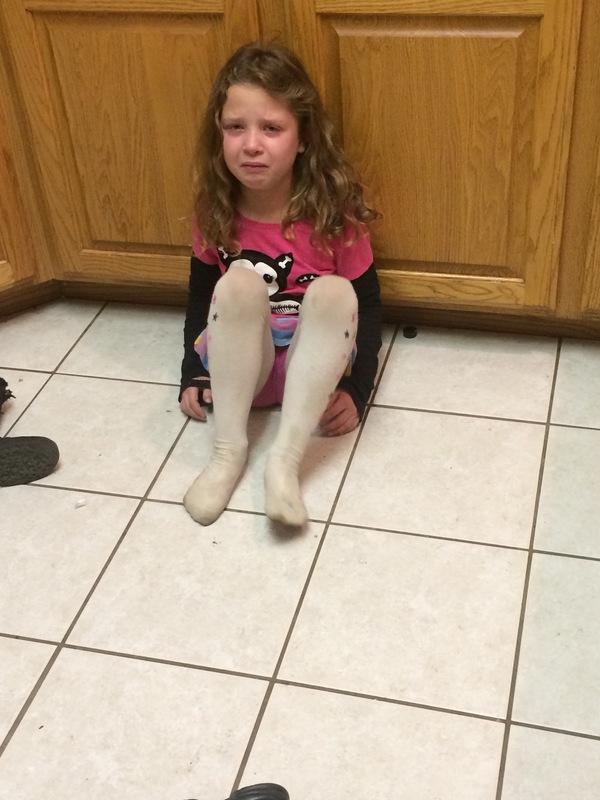 She will spend the week with this other family and dog… So we shall see what will happen! 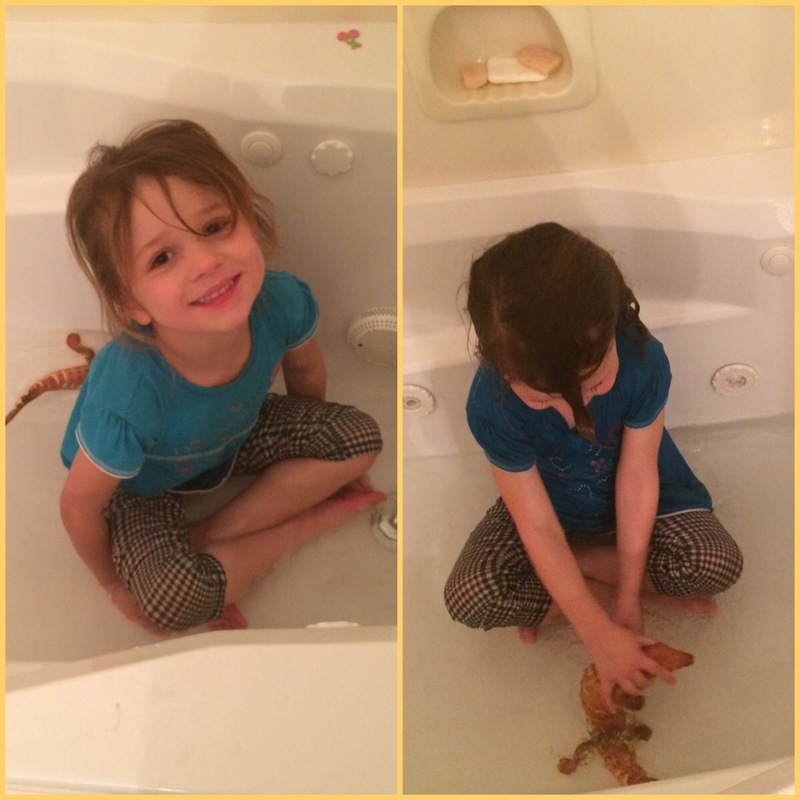 My youngest decided to hop in the bathtub (right before dinner)… With all her clothes on. It was very nice tonight because my 2 younger ones went to their rooms around 6:20-6:30 and fell right asleep. The 2 older ones… A different story, but as long as they stay in their room from 7 on… I don’t care what they do (talk, read, etc.). I, too was able to go to bed early!